Madden Arts Center, 3rd floor, 125 N. Water St. Display of works by area high school students in all mediums. Closing reception 4/7, 5-7pm, free. General exhibit hours M-F 8:30am-4:30pm, Sa 10am-2pm, free, 217-423-3189. Rock Springs Nature Center, 3939 Nearing Ln. Featuring wildlife and night photography by Sharon Blazer in the North Gallery and various works by Colin Bishop and Mikayla Mendenhall in the South Gallery, Nature Center open hours, free, 217-423-7708. Millikin University, Kirkland Fine Arts Center, Perkinson Gallery, 1215 Kirkland Dr. Millikin University’s annual Bachelor of Fine Arts Thesis exhibitions, works in varied mediums, M-F 12-5pm, free, 217-420-6639. Wildflour Artisan Bakery & Café, 256 W. Main St. Featuring the works of Mike Delaney, café hours, free, 217-422-1509. Madden Arts Center, Anne Lloyd Gallery, 125 N. Water St. Bloomington artist Dennis French’s illuminants and unusual clocks. Artist Reception 4/7, 5-7:30, free. April general exhibit hours M-F 8:30am-4:30pm, Sa 10am-2pm, free, 217-423-3189. Downtown Decatur Art Galleries: Anne Lloyd Gallery and Madden Arts Center 3rd Floor Gallery (4/7), 125 N. Water St., Blue Connection, 117 N. Water St., and Gallery 510, 160 E. Main St. Visit the downtown Decatur art galleries featuring unique art, artist talks, live music, hors d’oeuvres and beverages, 5-7:30pm, free, 217-423-3189. Gallery 510, 160 E. Main St. First Friday opening reception featuring Annette Russo’s works, light refreshments, 5-7:30pm, artist talk 6:30pm, free. General exhibit viewing throughout April, Tu-F 11am-5pm, Sa 11am-3pm, free, 217-422-1509. Millikin University, Kirkland Fine Arts Center, Perkinson Gallery, 1215 Kirkland Dr. Works by freshman through junior level art students in varied mediums, M-F 12-5pm, free, 217-420-6639. Decatur Airport, Main Terminal, Lobby Gallery, 910 S. Airport Rd. Featuring Rae Nell Spencer’s watercolor paintings, airport lobby hours, free, 217-422-1509. Decatur Public Library, Art Gallery, 130 N. Franklin St. Featuring works by Carol Kessler, library hours, free, 217-422-1509. Wildflour Artisan Bakery & Café, 256 W. Main St. Featuring works by Annette Russo, café hours, free, 217-422-1509. Madden Arts Center, Anne Lloyd Gallery, 125 N. Water St. Showcasing works by local Barn Colony Artists, varied media, M-F 8:30am-4:30pm, Sa 10am-2pm, free, 217-423-3189. Gallery 510, 160 E. Main St. First Friday opening reception featuring the works of Rob O’Dell, light refreshments, 5-7:30pm, artist talk 6:30pm, free. General exhibit viewing throughout May, Tu-F 11am-5pm, Sa 11am-3pm, free, 217-422-1509. Millikin University, Perkinson Music Center, Kaeuper Hall, 1184 W. Main St. Trombones of the St. Louis Symphony Orchestra will hold master classes and recitals at Millikin University for high school and university trombone participants who register at www.millikin.edu/trombone-day, Participants’ Recital 5pm, Trombones of the St. Louis Symphony Orchestra Trombonists’ Recital 7:30pm, free, 217-424-6309. Lock Stock & Barrel, 129 S. Oakland Ave., no cover charge unless otherwise indicated, 217-429-7411. Lock Stock & Barrel, 129 S. Oakland Ave., 3:30-5:30pm (unless otherwise listed), 217-429-7411. Rock Springs Nature Center, 3939 Nearing Ln. Bluegrass music played by area musicians, 1-4pm, free, 217-423-7708. Westminster Presbyterian Church, 1360 W. Main St. Millikin University Jazz Bands perform, 7:30pm, 217-424-6318. Central Christian Church, 650 W. William St. Presented by the Millikin University School of Music, 7:30pm, 217-424-6318. Westminster Presbyterian Church, 1360 W. Main St. Millikin University vocal jazz groups perform, 7:30pm, 217-424-6318. Millikin University, Kirkland Fine Arts Center, 1215 Kirkland Dr. The Millikin-Decatur Symphony Orchestra performs Beethoven and Rautavaara, the Symphonic Revolutionaries, Silvan Negrutju on piano, 7:30pm, $, 217-424-6318. Millikin University, Kirkland Fine Arts Center, 1215 Kirkland Dr. 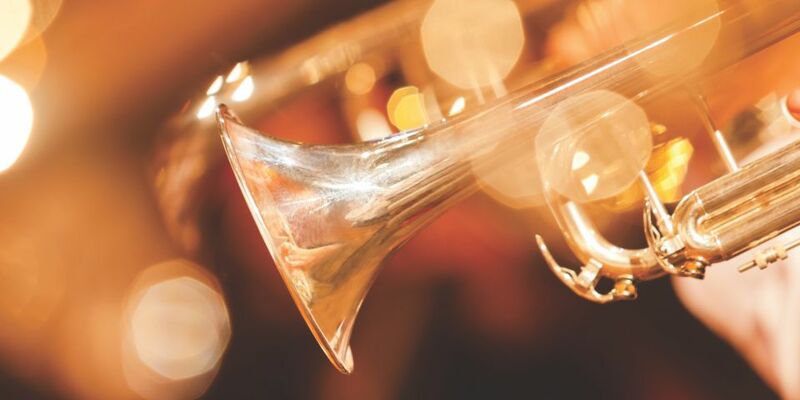 The Symphonic Wind Ensemble performs, presented by the Millikin University School of Music, 4pm, 217-424-6318. Millikin University, Kirkland Fine Arts Center, 1215 Kirkland Dr. Concert showcasing contemporary percussion chamber music performed by one of the nation’s top collegiate ensembles from Millikin University, 4pm, 217-424-6318. Central Christian Church, 650 W. William St. A final performance by the Millikin University choirs of the 2016-2017 academic year, 2 & 4pm, free, 217-428-4336 or 217-424-6318. Decatur Public Library, Madden Auditorium, 130 N. Franklin St. The Millikin-Decatur Symphony Orchestra presents a program of music and stories for families with very young children, wear your pajamas, 6pm, free, 217-475-2234. Millikin University, Kirkland Fine Arts Center, 1215 Kirkland Dr. High-energy performance of the group’s hit songs, 7:30pm, $, 217-424-6318. Central Christian Church, 650 W. William St. Featuring instrumentalists from the choir and music composed by an Opus member, 7:30pm, $, 217-422-1422. Fairview Park, Pavilion #1. Bring a picnic and enjoy The Great Outdoors concert by The Greater Decatur Chorale and special guests Christine Smith and the Millikin’s Children Choir, presented by WAND-17 TV, concessions and hot grills available for cooking 5pm, concert 6pm, free, 217-422-5911. Rock Springs Nature Center, 3939 Nearing Ln. The Charleston-Mattoon Sacred Harp Singers perform, 2-4pm, free, 217-423-7708. Decatur Civic Center Theatre, 1 Gary K. Anderson Plaza. A smash off-Broadway, family friendly musical journey with over 30 classic ’50s and ’60s hit songs, presented by Decatur Underground Theater, sponsored by Cromwell Radio Group, F & Sa 7pm, Sa & Su 2pm, $, 217-422-6161. Millikin University, Shilling Hall, Albert Taylor Theatre, 1184 W. Main St. One of Shakespeare’s most popular romantic comedies, rated PG-13, Th-Sa 7:30pm, Sa & Su 2pm, $, 217-424-6318. Little Theatre on the Square, 16 E. Harrison St., Sullivan. Featuring students of the STAR program, show times vary, $, www.thelittletheatre.org or 217-728-7375. Millikin University, Kirkland Fine Arts Center, 1215 Kirkland Dr. Adam Trent, star from the hit Broadway show The Illusionists, performs with part magic, part concert and part stand-up comedy, 7:30pm, $, 217-424-6318. Millikin University, Pipe Dreams Studio Theatre, 1099 W. Wood St. A bitter comedy about four girls and their New York City prenuptial bender, times vary, $, www.pdtheatre.com or 217-424-6318. Millikin University, Shilling Hall, Albert Taylor Theatre, 1184 W. Main St. Story deals with a high school social order, rated R, Th-Sa 7:30pm, Sa & Su 2pm, $, 217-424-6318. Decatur Civic Center Theatre, 1 Gary K. Anderson Plaza. Performances by the Decatur Park District’s dance students, F 7pm, Sa 11am & 5pm, $, 217-422-5911. Decatur Civic Center Theatre, 1 Gary K. Anderson Plaza. Featuring the Decatur Park District’s dance students ages 3 – adult, F 7pm, Sa 11am & 5pm, $, reserved seating, 217-422-5911. 125 S. Pine St. Tour the beautiful historic Victorian mansion that belonged to one of Decatur’s leading citizens, circa 1875, 2-4pm, $, 217-428-0597. Friends Creek Conservation Area, 13734 Friends Creek Park Rd., Cisco. Open house and tour of one of the area’s few remaining one-room country schools, circa 1890-1946, 1-4pm, free, 217-423-7708. Fairview Park, meet in swimming pool lot, 1455 W. Fairview Pk. Dr. Volunteer groups will cut and treat Amur Honeysuckle bush, wear work clothes and gloves, bring pruning shears and loppers if possible, 9am-12pm, free, 217-877-6042. Rock Springs Nature Center, 3939 Nearing Ln. Sing animal calls, pet a snake and learn about prairie animals, 2pm, free, reservations required, 217-423-7708. Rock Springs Conservation Area, 3939 Nearing Ln., 2-4pm, free, reservations required, 217-423-7708. Rock Springs Nature Center, 3939 Nearing Ln. Discover tricks, useful websites and how to find planets using a Celestron 8” telescope, for ages 10 and older, 6:30-7:30pm, free, reservations required, 217-423-7708. Cannon Park, 3125 S. Baltimore Ave. Paddle a canoe down the creek, all equipment provided, must have at least one adult per canoe, 10am-12pm, $, reservations required, 217-423-7708. Mari-Mann Herb Company, 1405 Mari Mann Ln. Greenhouse opening day and start of the Herb Farm Season with everlastings, herbs, vegetables and flowering bedding plants for sale, 9am-5pm, free admission, 217-429-1555. Decatur Public Library, Madden Auditorium, 130 N. Franklin St. Annual public meeting and program; Vern Kleen, avian ecologist, presents the life and history of the Ruby-Throated Hummingbird, meeting 12:30pm, program 1pm, tea 2pm, free, 217-330-6614. Rock Springs Conservation Area, 3939 Nearing Ln. Help make the Sangamon River a safer and more beautiful place for wildlife and people, bags, snacks and water provided, dress to get dirty, bring gloves, registration 9:30-10am, cleanup 10am-12pm, free, 217-423-7708. Griswold Conservation Area, 9896 Meridian Rd., Blue Mound. Discover glacial kames and dig up the differences between rocks and minerals, 2pm, free, reservations required, 217-423-7708. Riverside Baptist Church, 1250 W. Mound Rd. Perennials, annuals, cuttings, herbs, hanging baskets and more for sale, 8:30-10:30am, free admission, 217-864-2903. Macon County Fairgrounds, 3700 N. Westlawn Ave. Featuring a large selection of annuals, shared-perennials, hostas and more, presented by the University of Illinois Macon County Master Gardeners, 9am-2pm, free admission, 217-877-6042. Richland Community College, 1 College Park. Richland’s agriculture students present annual flowers, perennials, vegetables and house plants for sale, proceeds benefit the Agriculture/Horticulture Program at RCC, F 7-6pm, Sa 7am-1pm, free admission, 217-875-7211 ext. 562. Rock Springs Nature Center, 3939 Nearing Ln. Try your luck at striking tinder with magnesium and steel, take a prairie hike and learn to identify plant species, 2pm, free, reservations required, 217-423-7708. Rock Springs Conservation Area, 3939 Nearing Ln. Explore the Rodney T. Miller Wetland with a naturalist and learn about aquatic animals using nets and buckets for catch and release, all equipment provided, 2pm, free, reservations required, 217-423-7708. Children’s Museum of Illinois, 55 S. Country Club Rd. Visit the museum when the exhibits are turned down and the crowd is controlled, one hour before Museum opening, Sa’s 9-10am, Su’s 12-1pm, $, 217-423-5437. Rock Springs Nature Center, 3939 Nearing Ln. Create and play Native American games, 2pm, free, reservations required, 217-423-7708. Children’s Museum of Illinois, 55 S. Country Club Rd. Visit with real woodland creatures, create a blinking wand and cast bubbling spells, food and dancing, fairy tale costumes encouraged, 6-8pm, $, reservations required, 217-423-5437. Sinawik Park, 1715 S. 32nd St. Bring your favorite kite to fly, sponsored by the Illinois Association of Park Districts, 1-3pm, free, 217-429-7750. Scovill Zoo, 71 S. Country Club Rd. Celebrate Mothers Day with games, gifts, animal presentations, 9:30am-5pm, moms free with paying child 5/13 & 5/14, 217-421-7435. Scovill Zoo, 71 S. Country Club Rd. Free admission and train rides for veterans with I.D., 9:30am-6pm, $ for non-Veterans, 217-421-7435. St. Mary’s Hospital, 1800 E. Lake Shore Dr. Information provided on diagnosis, risk factors, disease stages, treatment options and more, 10-11:30am, free, 217-726-5184. Decatur Family YMCA, 220 W. McKinley Ave. A day for parents and children ages 5-14 to focus on fun ways to stay healthy and active with activity stations, giveaways, Parent/Child Splash and Dash, motivational speaker and BMX Flatland rider Matt Wilhelm, 9am-12pm, Matt Wilhelm show 9:30am, Splash and Dash 11am-12pm, free, 217-872-9622. Rotary Park, Field #2, 2450 Bus. US 51 South. Girls and boys ages 7-14 display their baseball and softball skills, participants may advance to the team championships at Busch Stadium, 10am-1pm, free, 217-429-3472. Nelson Park, Pavilion #1, 2301 E. Lakeshore Dr. Public yoga session led by instructors from the Decatur Park District and area licensed instructors, limited number of mats available, 10-11:30am, free, 217-422-5911. Decatur Soccer Complex, 1 Educational Park Dr. Featuring premier youth soccer teams from across the Midwest, vendors, concessions available for purchase, presented by ADM and Midwest Fiber, times TBA, free for spectators, www.midstatesoccer.com or 217-429-3472. Decatur Indoor Sports Center (DISC), 1295 W. Wood St. Giveaways, exercise activities, DMH Health screenings, 8-11am, free, 217-429-3472. Country Inn & Suites, 5150 Hickory Point Frontage Rd. Wall-to-wall collectable marbles, room trading, buying and selling, free marble identification and appraisals, 9am-1pm, show display Sa 9am-1pm, free admission, 217-872-2402 or 217-422-8454. Decatur Civic Center, 1 Gary K. Anderson Plaza. Presented by the Mt. Zion and Southern Model Railroad Club, 11am-4pm, $, 217-422-7300. Rock Springs Conservation Area, 3939 Nearing Ln. Celebrate Earth Day with family activities including wagon rides, food, face painting, crafts and more, co-sponsored by the Decatur Audubon Society, 12-4pm, free admission, 217-423-7708. Decatur Civic Center, 1 Gary K. Anderson Plaza. Idea exploring and talent sharing through 3D printing, homemade foods and household products, unique gardening and horticulture ideas, drones, robotics, music and more, 10am-3pm, free admission, 217-877-6042. Decatur Civic Center, 1 Gary K. Anderson Plaza. Women’s event to shop, taste wine and sample products from local businesses, 5-9pm, free, 217-422-7300. Decatur Civic Center, parking lot, 1 Gary K. Anderson Plaza. Disposal of electronic items and components, must be pre-registered 3/1-4/16 for specific timed drop-off appointments at www.MaconGreen.com, $ to dispose TVs and monitors, free for other components, 217-425-4505. Unitarian-Universalist Fellowship of Decatur, 3773 N. MacArthur Rd. Documentary dealing with the question of whether non-human animals are property to be owned and used or sentient beings deserving of rights, discussions led by local experts, part of the Environmental Film Series, for ages 10 and older, 7pm, free, 217-521-9702. Macon County Courthouse, 253 E. Wood St. Wreath lighting to commemorate National Child Abuse Awareness Month, speeches and reception follow, sponsored by Macon County CASA (Court Appointed Special Advocates) for abused and neglected children in the Macon County juvenile court system, 4:30pm, free, 217-428-8424. Decatur Club, 158 W. Prairie Ave. Breakfast and guest speaker Greg Baise, President and CEO of the Illinois Manufacturer’s Association, breakfast 6:30am, program 7-8am, $, registration preferred, 217-422-2200. Macon County Environmental Management, 1750 N. 21st St. Proper disposal of old and discarded paints, stains and varnishes, accepted items are latex or oil based paints, stains and varnishes in original labeled containers, residential items only, 4/5 & 4/26 2-6pm, 5/10 & 5/24 9:30am-1pm, free, 217-425-4505. Madden Arts Center, 125 N. Water St. Readings by featured poets, performance of original songs, open mic session for experienced or novice, light refreshments, presented by Decatur Area Arts Council in conjunction with Millikin Bronze Man Books, 6:30-8:30pm, free, 423-3189. Coziahr Harley Davidson, 150 W. Marion, Forsyth. Annual ceremony to ask God for safety and protection for riders during the motorcycle season. Music and food, Blessing at 2:00pm. Progress City, 1 College Park. Four AKC all-breed dog shows with Best in Show judging mid-afternoon each day, proceeds benefit a variety of dog-related activities and scholarships, judging begins 9am Th-Sa & 8:30am Su, $, 217-262-3266 or 217-621-5169. F 4-9pm, Sa 10am-3pm, free admission. Macon County Fairgrounds, Maltas Building, 3700 N. Westlawn Ave. Large community garage sale, rent a space to sell unwanted items or stop by and shop, proceeds benefit the Macon County Fair, 8am-3pm, $, 217-875-0135. Macon County Fairgrounds, Pride of the Prairie Center, 3700 N. Westlawn Ave. Central Illinois craft vendors and small businesses showcase their goods, proceeds benefit the Macon County Fair, 8am-3pm, free admission, 217-875-0135. Salvation Army Community Center, 229 W. Main St. Secure shredding disposal of confidential materials, 10am-12pm, free, 217-425-4505. Networking among the local business community, hors d’oeuvres and cocktails provided, 5-7pm, free, 217-422-2200. 5/10 – Scovill Zoo, 71 S. Country Club Rd. 5/17 – J.L. Hubbard Insurance & Bonds, 60th Anniversary, 1090 S. U.S. 51, Forsyth. Scovill Golf Course, 3909 W. Main St. Adults-only event includes music, pizza, games, optional Easter basket contest, adult beverages, outdoor hunt with thousands of eggs redeemed for cash prizes, gift cards and more, bring a basket for your eggs and flashlight, proceeds benefit Park District youth arts and recreation programs, 6:30pm, $, reservations by 4/6, 217-422-5911. Knights of Columbus Hall, 520 E. North St. Food by MAC’s Pigskin Diner and music by Tennessee Borderline. Proceeds benefit Catholic Charities programs and services. 6:30pm-11:00pm. $, reservations call 217-428-3458. Fletcher Park Recreation Center, 323 Fletcher Park Blvd., Mt. Zion. Concessions, old time movies, classic cartoons, prizes, live entertainment, Doodles the Dragon, Granny Giggles and the Gary Strong Marionettes Show, proceeds benefit the Fletcher Park Splash Pad, doors open 1:30pm, show 2pm, $, 217-864-5424. Decatur Public Library, 130 N. Franklin St. Friends of the Library offer used books, audio/visual pieces and more for sale, all proceeds benefit Decatur Public Library literacy promoting programs, 9:30am-12:30pm, 424-2900 ext. 133. Decatur Conference Center and Hotel, 4191 W. US Route 36. Featuring wines and beers from around the world, fine food samplings from 26 local restaurants and caterers, silent auction, limited tickets for V.I.P. wine pairing dinner before event, proceeds benefit the Decatur Area Arts Council’s arts programming, business casual attire, reservations required for V.I.P. dinner 5pm, event 6:30-9:30pm, $, 217-423-3189. Downtown Decatur across from the ADM City Center. Enjoy Krispy Kreme doughnuts for breakfast and Hickory River Smokehouse for lunch, proceeds benefit services for children and adults with disabilities that are served by MRI, 6am-2pm, $, reservations not required but pre-orders for food may be placed, 217-875-8850. Greek Orthodox Church, 510 N. Union. Two-day event. May 2: Bake Sale 9am-2pm and Luncheon 11am-1pm. May 4: Two seatings for dinner at 5:30pm & 7:30pm with Greek cuisine and entertainment by the Greek Dancers and live music by Gus Kastanis and his Holiday in Greece Band. Dinner tickets $25 by calling 217-428-9030. The Beach House, 2301 S. Lake Shore Dr. Featuring food and beverages of Mexico, Latin music, dogs on leashes are welcome on deck area, proceeds benefit homeless animals of Macon County, for adults ages 21 and older, 5-8pm, $, 217-423-7387. Children’s Museum of Illinois, 55 S. Country Club Rd. Watch sunglass-clad rubber ducks race to win prizes for their sponsors, proceeds benefit Children’s Museum of Illinois’ educational exhibits and programming, 10am-5pm, $ to sponsor ducks, www.CMofIL.org or 217-423-5437. Knights of Columbus Hall, 520 E. North St. Live performances by five local bands, cash bar and food for sale, proceeds benefit the Oasis Day Center, a community drop in center for homeless individuals or those in need of shelter during the day, doors open 2pm, music starts 3pm, $, 217-420-4801. Infusion Bar and Banquet Center, 2882 N. Dinneen St. Fundraising event for Gallery 510 Arts Guild with arts and crafts activities for children, the Champaign Freight band, food, cash bar, silent auction, raffle and more, casual attire, 4:30-9:30pm, children’s activities 4:30-6:30pm, band 6:30pm, $, 217-422-1509. Decatur Knights of Columbus Hall, 520 E. North St. Dances from swing, country, Latin and ballroom, live band, proceeds raised are shared between the New Life Pregnancy Center and Heritage’s Oasis Day Center, 5-8pm, $, 217-875-3090.